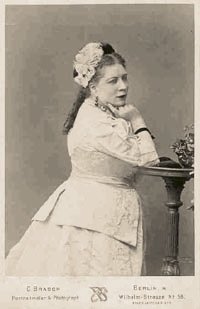 She was the daughter of the famous Belgian (mezzo-)soprano Désirée Artôt (1835 - 1907) and the Spanish baritone Mariano Padilla y Ramos (1842 - 1906). Her real name was Dolores de Padilla. She studied exclusively with her mother and made her debut in a concert in Paris. She toured in Scandinavia and Poland. 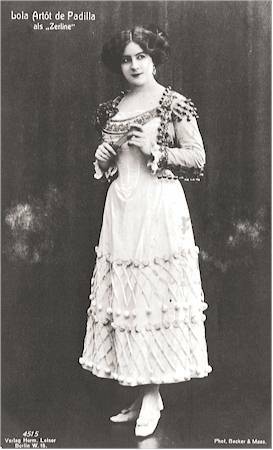 In 1902 she made her debut in Thomas’ Mignon at the Hoftheater Wiesbaden. 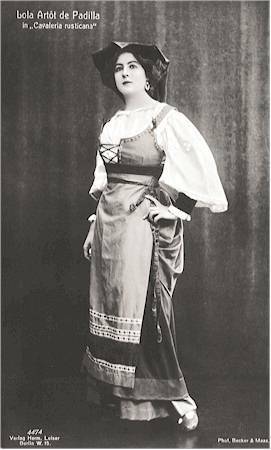 She sang at the Komische Oper Berlin from 1905 to 1908. She created Juliet in Delius’s opera A Village Romeo and Juliet. 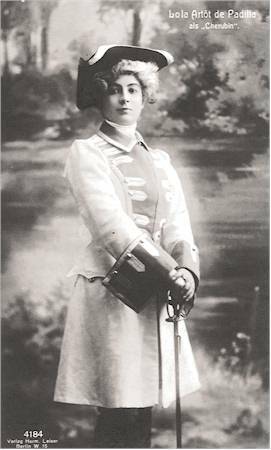 In 1909 she appeared as Zerlina at the Berliner Hofoper and she stayed there until 1927. 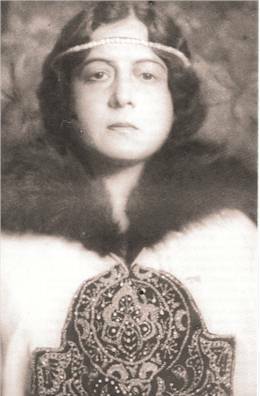 She created several roles: Gänsemagd in Humperdinck’s Königskinder, Octavian, the Composer in Ariadne auf Naxos and Busoni’s Turandot! She made many guest appearances on German and Dutch stages. She was much admired singer in Scandinavia. 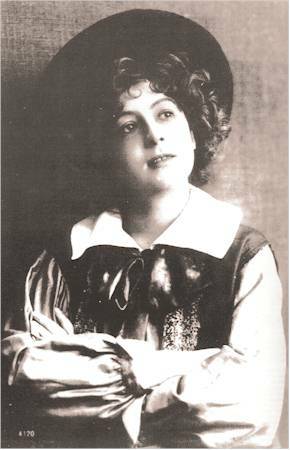 Her repertory also included the Countess in Le Nozze di Figaro, Marie in Smetana’s The Bartered Bride, Charlotte in Werther (! ), Micaela in Carmen and Oscar in Un Ballo in Maschera. 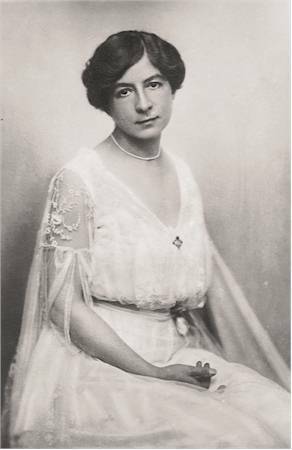 After her retirement she became a well-known teacher in Berlin. She is a very fine lyric soprano of a pure and sweet color. Most of the recorded arias are sung in German but she sings them with perfect legato, the tone is superbly carried on the breath. She also recorded some duets with Karl Jörn and Björn Talen. Today, she is completely neglected. 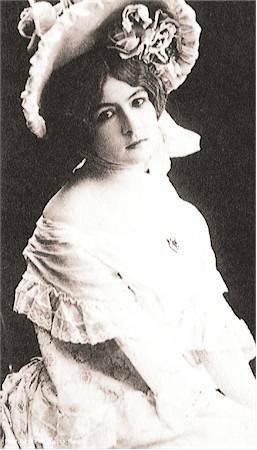 At her time, she was one of the most acclaimed and celebrated singers in Berlin. Preiser has not yet released the magnificent LP set on CD. 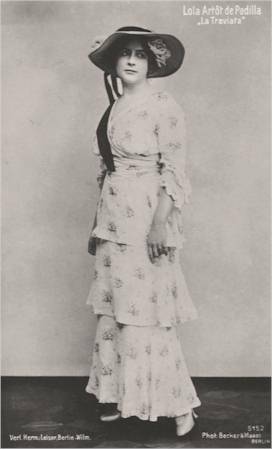 Lola Artôt de Padilla’s mother was one of the most famous singers in the 19th century. Her father was a hornist at the Théâtre de la Monnaie in Brussels. Her uncle was the famous violinist Joseph-Alexandre Artôt. Désirée studied with Pauline Viardot-García in Paris. She was recommended to the Grand Opéra of Paris by Giacomo Meyerbeer where she made her debut as Fidès in 1858. 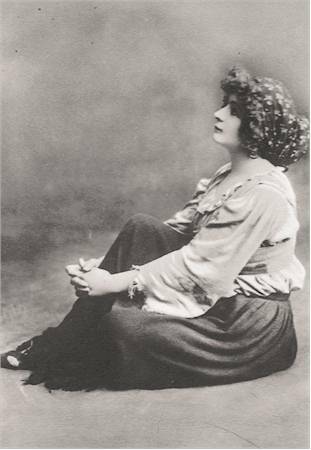 Her repertory included mezzosoprano as well as soprano roles. She toured all European countries with triumphal success. In 1869 she married the Spanish baritone Mariano Padilla y Ramos. The couple appeared together in Germany, Austria, Poland, Sweden, Belgium, the Netherlands, Danmark and Russia. Lola’s mother retired in 1884.